There's a pattern: I want to paste to all CSS folders whose container ends in _11 but not any of the others. 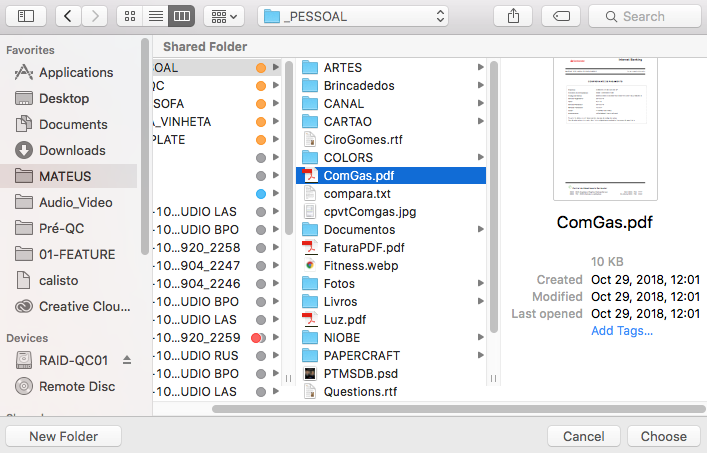 The content of the destination folders doesn't matter, I just need to replace them with the new files. Is there a simple way to paste these files into multiple destinations at once? It could also be an Automator flow or Terminal command. Click "Choose" and wait for the copy. PS: the file will replace existing ones with the same name. As requested, here's a workable solution as we've discussed in the comments thread. Currently, the situation is that you have multiple files on the clipboard that need to be pasted into multiple destination folders. These destination folders are all called "CSS" and reside inside a set of parents folders (names ending "_11") that you are able to select en masse. 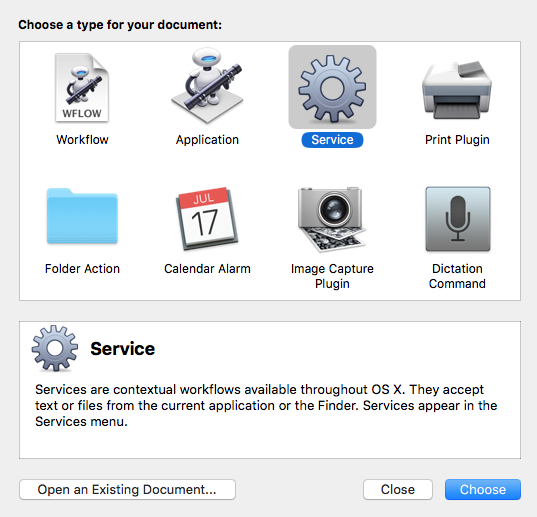 After doing that, you can run the following Automator service, either from the right-click context menu and selecting it under Services (or the Mojave equivalent); or by assigning it a keyboard shortcut in System Preferences, and triggering the service with the press of a hotkey. 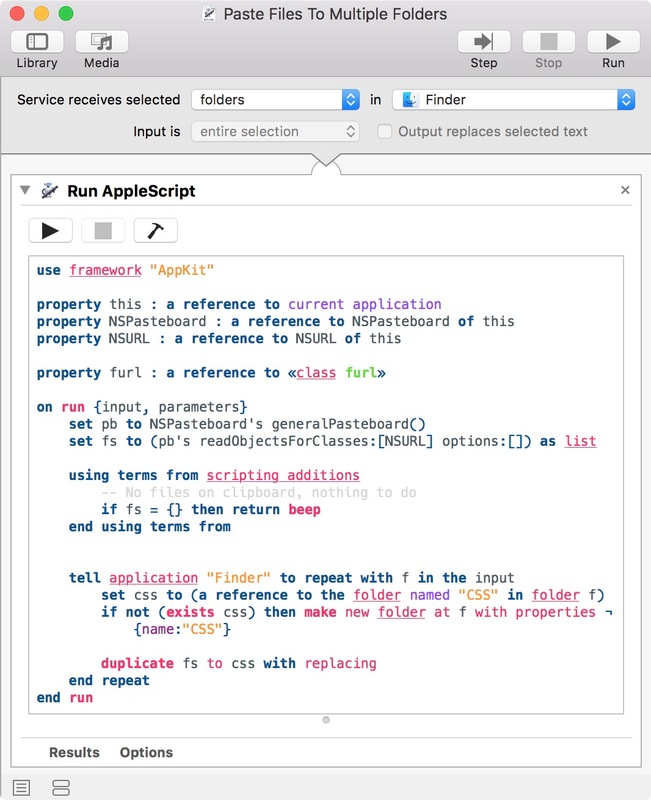 The AppleScript code used in the Run AppleScript action is below. The AppleScript reads the list of files contained on the clipboard; isolates the "CSS" subfolders in each of the selected parent folders that were passed into the service (the "CSS" folder is created if it doesn't already exist); and then duplicates the files from the clipboard into the "CSS" directories. If the clipboard does not contain any files, you'll hear a beep and no further action is taken. Not the answer you're looking for? Browse other questions tagged terminal finder automator copy-paste automation . How can I copy and paste multiple texts? Is there a way to move files to multiple folders in single Folder Action? 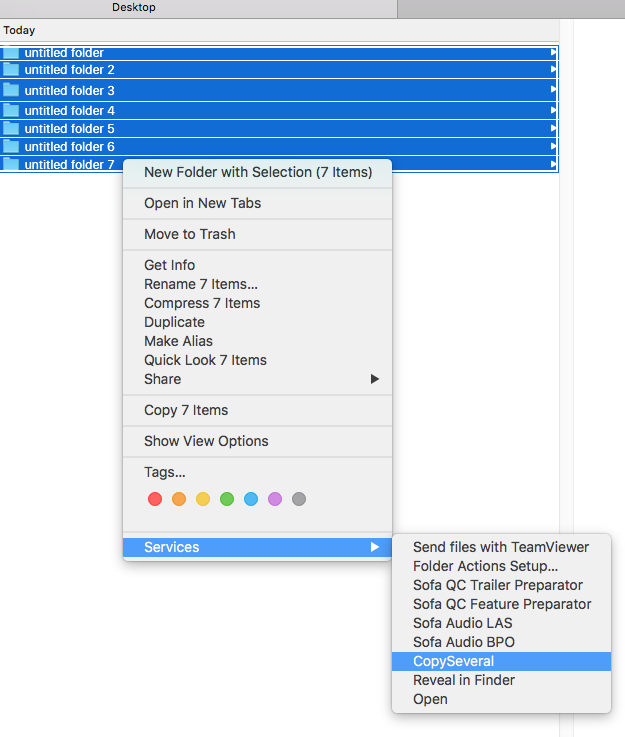 How to use Applescript to find duplicate files and .mp3 files in my iTunes “Music” folder and subfolders? Is there a multiple copy paste app for ios?